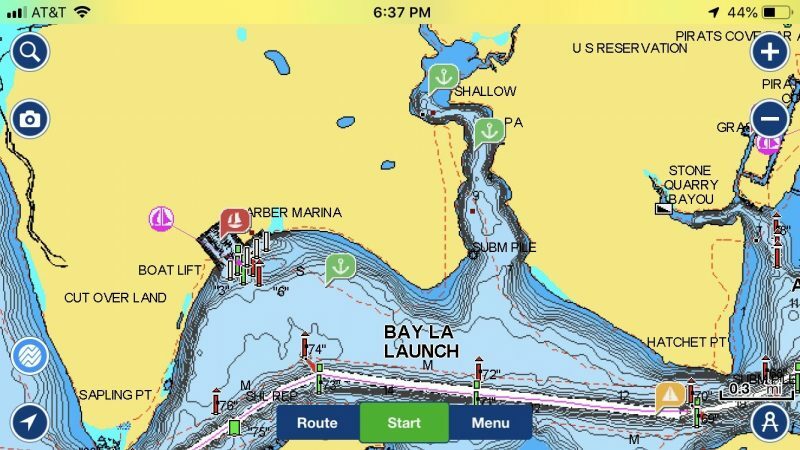 Have Another Day’s cruising season began in earnest about a month ago and with it came the need for a new planning and underway app. As you may know from my ActiveCaptain Community app guide, I’ve been paying close attention to what apps support ACC data. 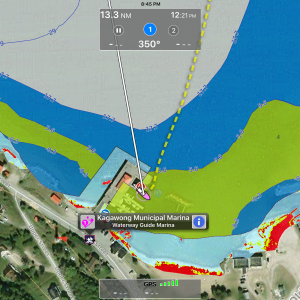 Aqua Map was among the first to integrate with the new API and in the process collected quite a few accolades for the app overall. I’d looked at Aqua Map quite awhile ago and hadn’t been that impressed. This year I took another look and either the app has made a lot of progress, or I really didn’t give it a fair shake last time around. 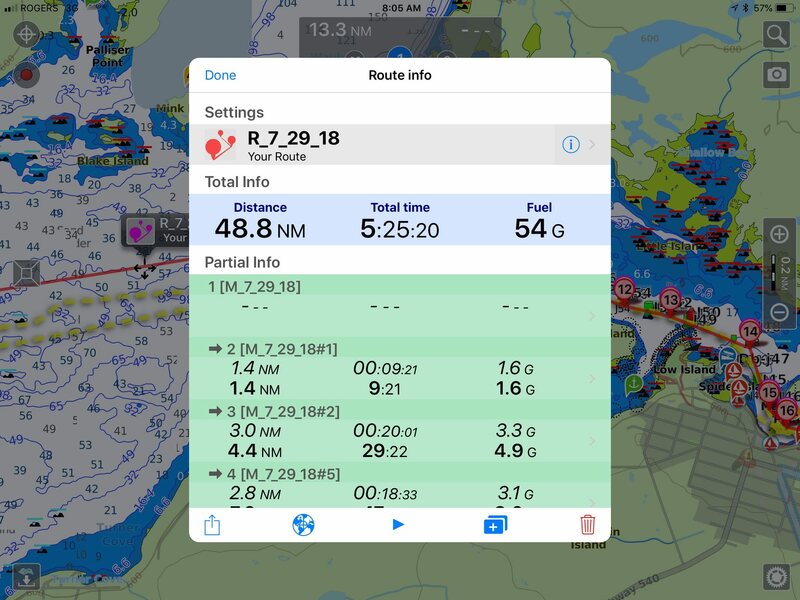 I’ve now cruised about 700 miles with Aqua Map as both my primary planning app and the primary app I’m using at the helm while underway. 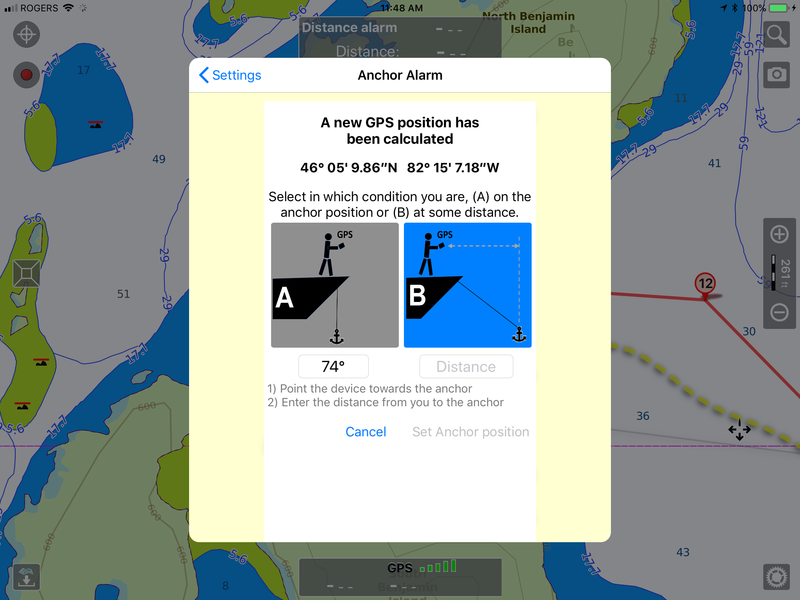 Creating and editing routes is pretty easy, recording tracks underway is straightforward and works well, and the newly implemented anchor alarm’s functionality is the strongest on any of the apps I’ve evaluated. 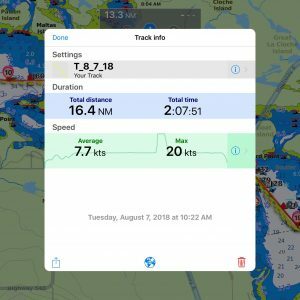 Aqua Map has added ActiveCaptain Community, Waterway Guide, and an integration with Global Terra Maps‘ online chart viewer. 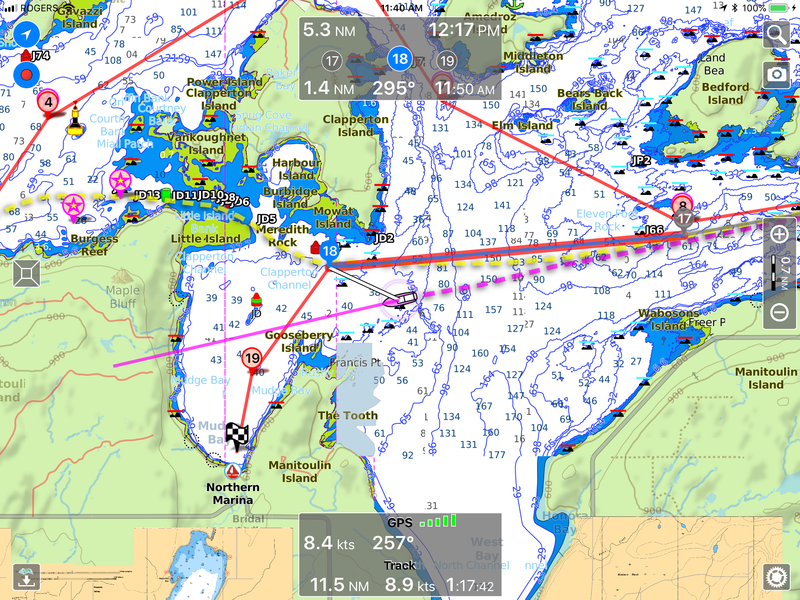 The online chart viewer means routes can be planned on a PC in a web browser and then transferred to Aqua Map. 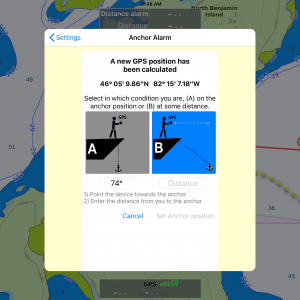 The anchor alarm function could probably be an entire entry unto itself. 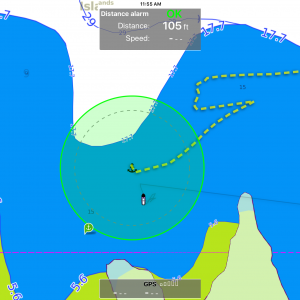 Aqua Map has implemented a very nice feature allowing you to either set the anchor location as your current GPS location, or allowing you to point your device at where the anchor is set and specify the distance to the anchor. If you’re anything like me you’ve probably forgotten to set the anchor alarm exactly as you drop the anchor more often than not. Great as the anchor alarm is, I’m having a few problems with receiving GPS errors on my iPad Mini 4 that I haven’t seen in other apps. While Aqua Map is already pretty nice to use, there are a few improvements I’d love to see. Some of these might be quibbles, while others feel a little more significant. I’d really like chart offset so the vessel icon isn’t centered on the screen. This would allow you to see more of the chart ahead of you than behind. The routing and tracking functions are both quite good, but if there’s a way to see a list of all your routes and tracks, I haven’t found it. 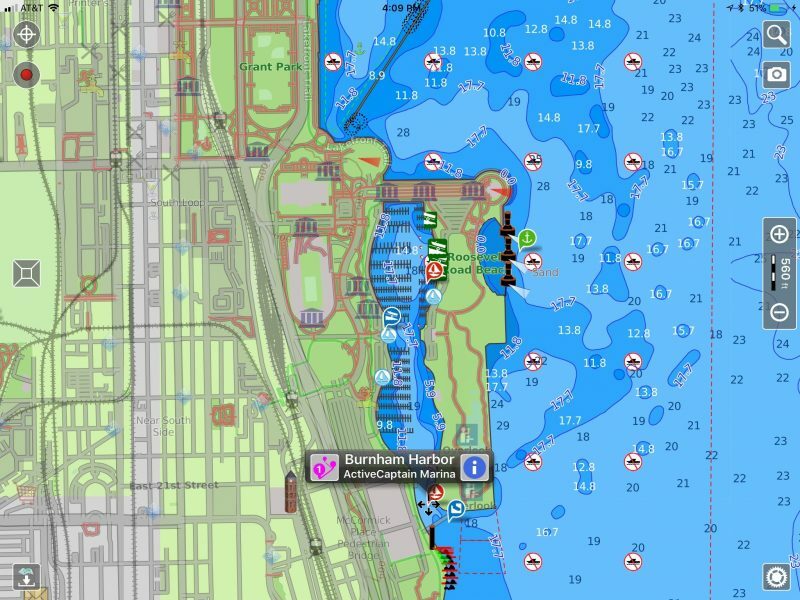 In a number of areas Aqua Map displays depth boundaries in a way that I’ve found confusing (and in fact one time probably contributed to my getting in some trouble, more on that in another entry). 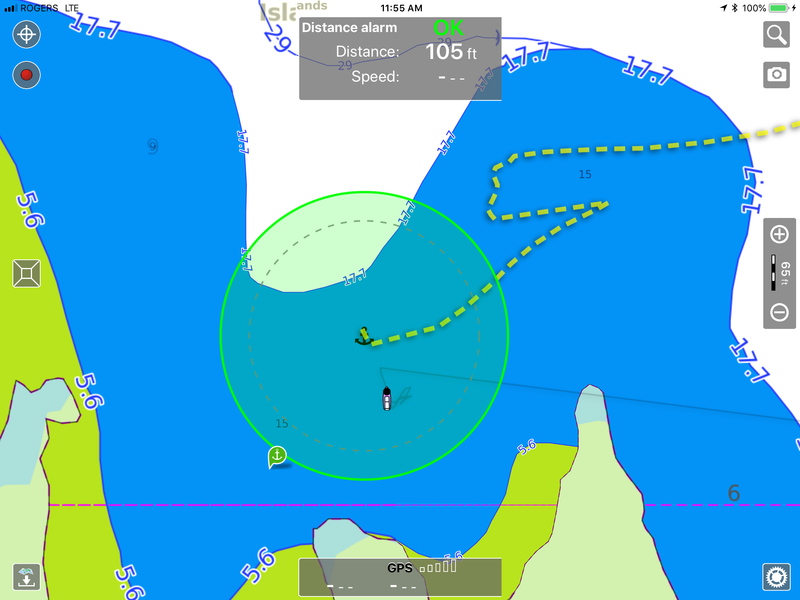 Rather than displaying individual soundings, Aqua Map draws a boundary and puts the soundings along the edge of the boundary.There’s still room for some additional features. I’d love to see more integration with existing on-board gear. 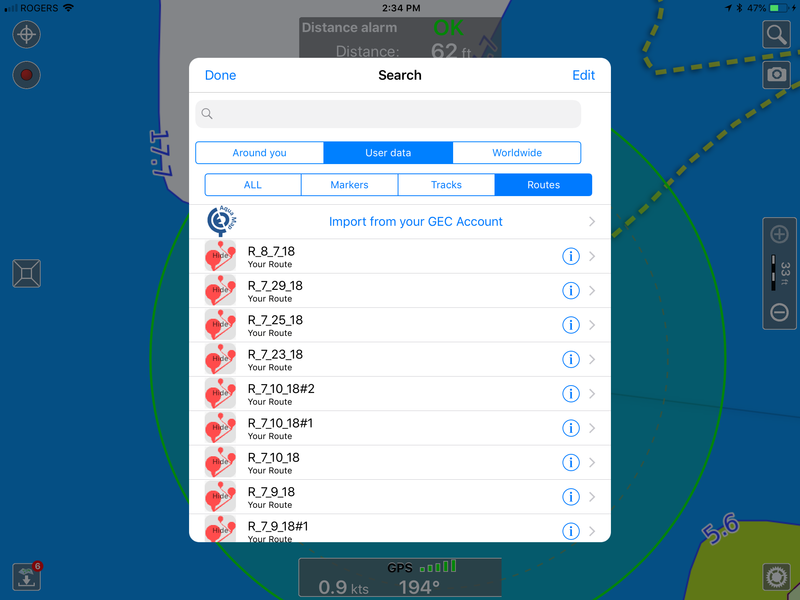 For instance, AIS support would be great, as would the ability to display depth and other info available on the boat. I’m hopeful we’ll continue to see more robust route management via the web viewer. 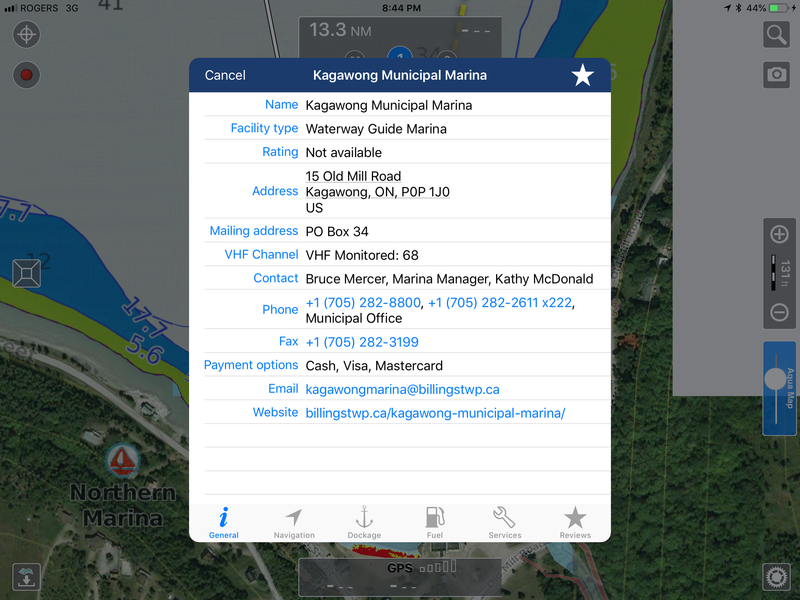 Aqua Map is a free download on both iOS and Android. 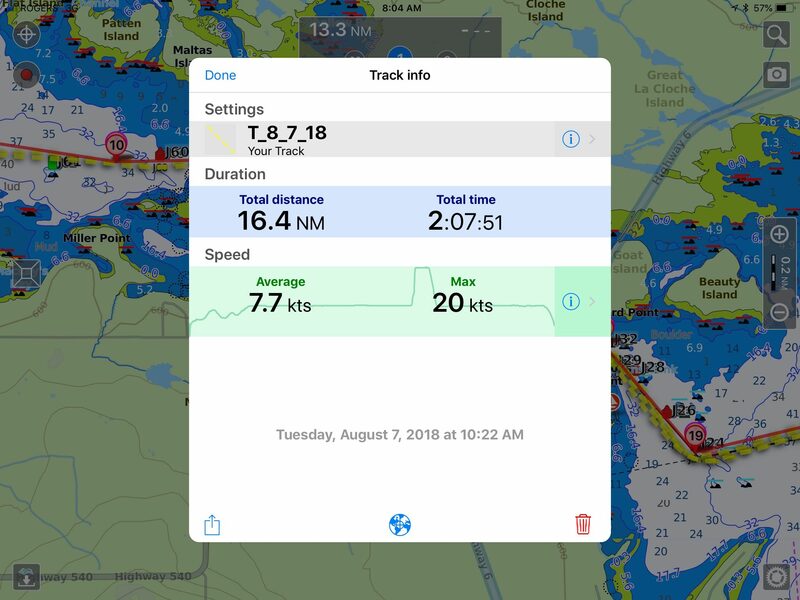 There previously have been quite a few Aqua Map products that are in the process of being consolidated under the free app with in-app purchases for charts. US & Canadian charts with lifetime updates are $39.99, US only is $24.99, and there’s a one year option for $14.99. 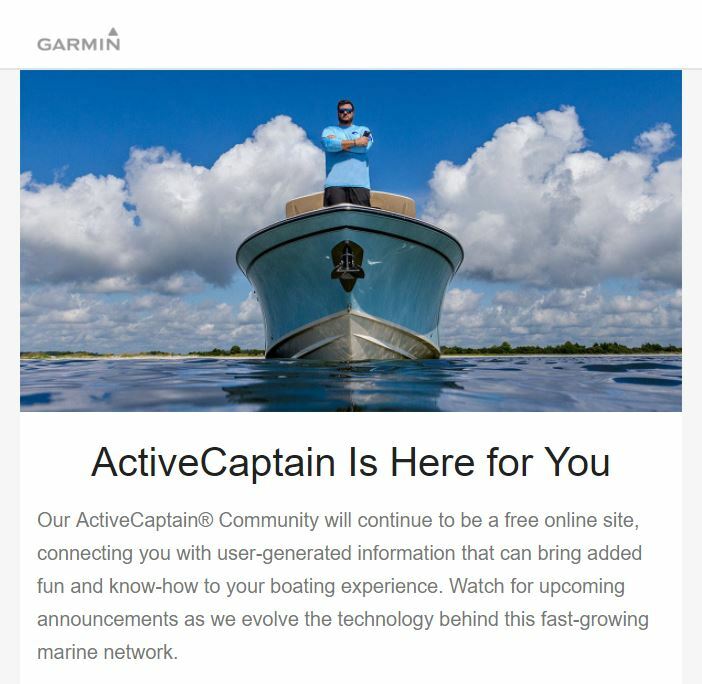 Garmin has promised that the Navionics suite of boating apps will have ActiveCaptain Community support by the end of the calendar year. Right now, I believe Aqua Map has the strongest offering out there. 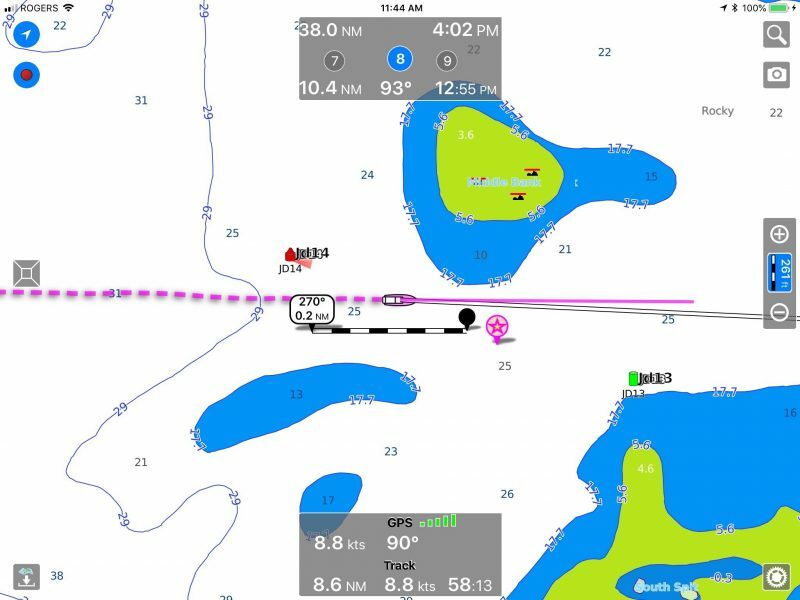 Navionics, with SonarChart Live, auto-routing, and MFD integration, will be strong competition for Aqua Map. I look forward to seeing how the two compare and enjoying the benefit of two strong apps duking it out for supremacy. P.S. – 8/10/2018 The author of Aqua Map wrote me to let me know that indeed I hadn’t found the feature to view routes, tracks and waypoints. If you click the spyglass search icon in the top right corner it will bring up the search dialog but also all of the user data. Very nice! 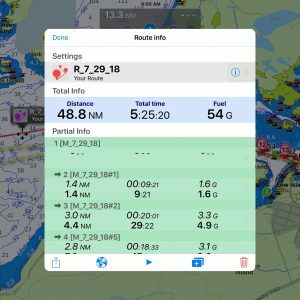 I too am looking forward to Navionics app having AC on it soon! (1). I tried AquaMap a while back on my iPad Mini, but ultimately deleted it because it was taking up a huge amount of memory space. Has this changed? (2). 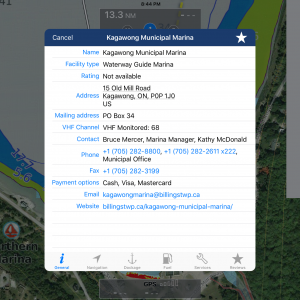 Do any of AquaMap’s operating features require an Internet connection, or are they all resident on your device? 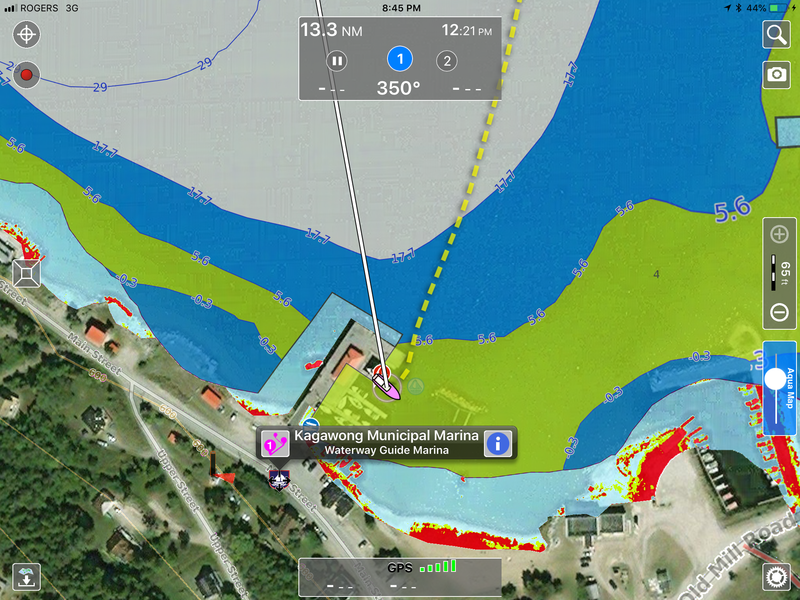 Aqua Map takes up about 2gb with a lot of cartography downloaded. It uses a tile based approach to downloading the charts so you can control space usage by DL’ing fewer tiles. All the features work without connectivity except for chart updates. We know our chart data is big, this is due to the decision we made to add full land data offline support. We are collecting comments about this decision and there are positive and negative as usual. Maybe in the future we will split land and sea and let the user decide what to download. Meanwhile, as you said above, you can any time remove tiles all together or one by one, and re-download them when needed.